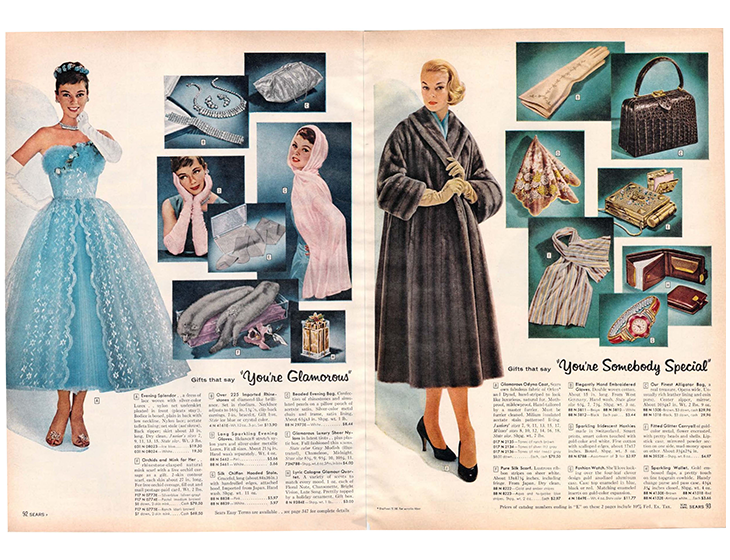 Ever since we can remember, catalogs have been an essential part of the shopping experience. They are so deep-rooted in our daily lives that people easily forget that there was a time when the catalogs were black and white and looked like old-fashioned and cheap newspapers. It’s really hard to recall that, right? Especially nowadays, when all the catalogs we’re flipping through are multicolored and very well organized. But trust me, there’s a lot of history when talking about the first ever published catalog. Wondering why? Well, the story of the catalog began long, loooong time ago; so long that not even our great grand grand grandparents could tell us. But we can. No, we are not thaaat old, we just did a lot of research about the story of the catalog and want to share it with you. 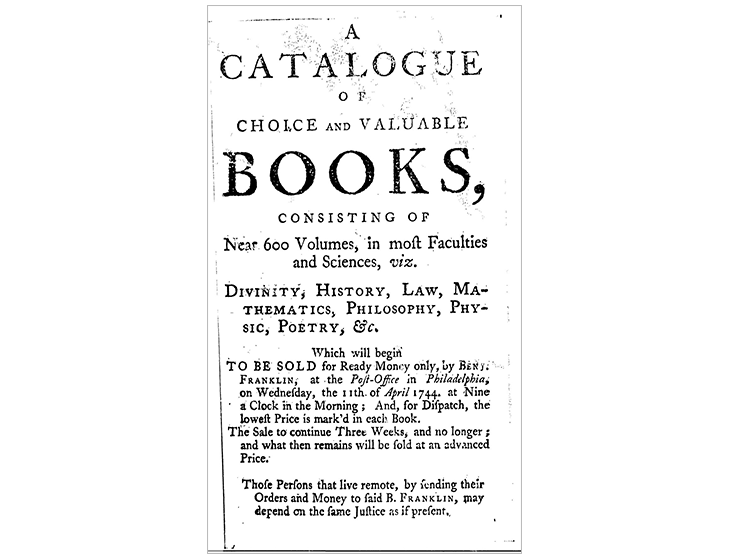 Keep on reading to find out when and why the first catalog was created, which ones are the longest-lasting or most popular catalogs; and also to see how they developed from the past till present. Believe it or not, the story of the catalog began in Venice, in 1498! 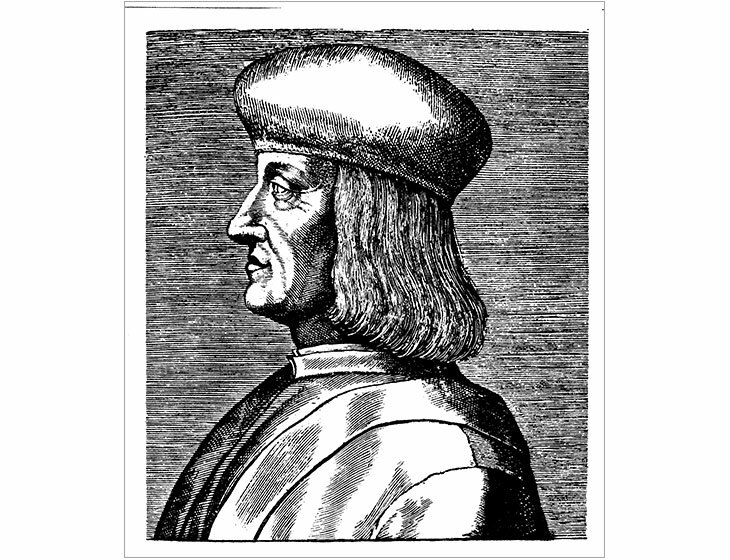 Aldus Pius Manutius – an Italian humanist, scholar, and educator – published the first catalog ever. He founded his company “The Aldine Press” at Venice in 1495 and wanted to accurately print the first editions of many Greek and Latin classics. But his biggest desire was to present and sell these books to the Venetians; that’s why he chose to publish a catalog of all the books he was printing. And this, ladies and gentlemen, this is why and when the first ever catalog appeared. Interesting, right? I know it might seem strange and unbelievable, but the seed companies had a great impact upon the story of the catalog. Thanks to them, the catalogs started to develop progressively. Everything began in 1667, when a simple English gardener, William Lucas, decided to publish a catalog with seed prices for his clients. He created a real trend that became popular even in the colonial America, where William Prince of the Prince Nurseries * published a catalog of fruit trees in 1771. 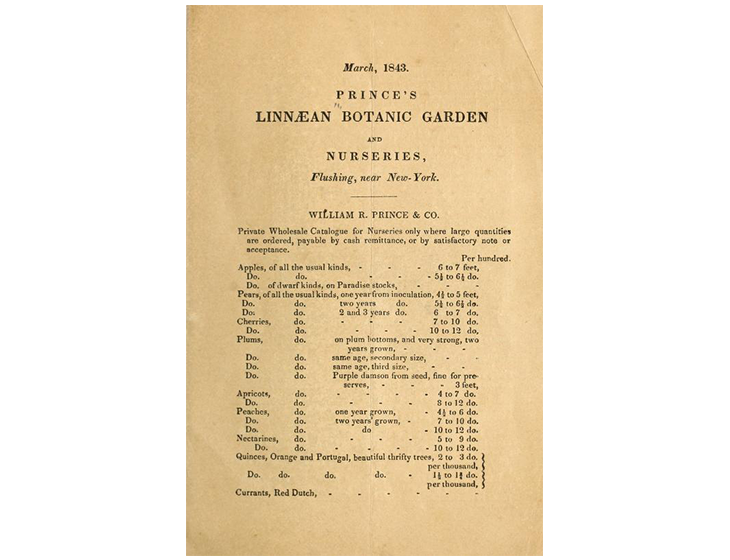 Here we have an extract from a Prince Nursery catalog from 1843. It looks like an ancient piece of paper, right? You wouldn’t think that it’s actually a page from a catalog. Yep, you read it correctly the first time. Benjamin Franklin is usually known for his politician and scientist skills, and only a few people know that he also invented the mail order business. Let me briefly explain to you what this concept is all about and why is it so important for the story of the catalog. The mail order concept represents the process of selecting an item through a catalog, and also of sending the company the client’s order together with money for the product plus shipping through post. The customer would receive his order by post in the next weeks. It does sound familiar, right? We still use this mail order process nowadays. What’s really important on this opening page is the fact that Benjamin Franklin made it possible for people to acquire his books without visiting the stores: “Those Persons that live remote, by sending their Orders and Money to said B. Franklin, may depend on the same Justice as if present.” This is what mail order catalogs do. 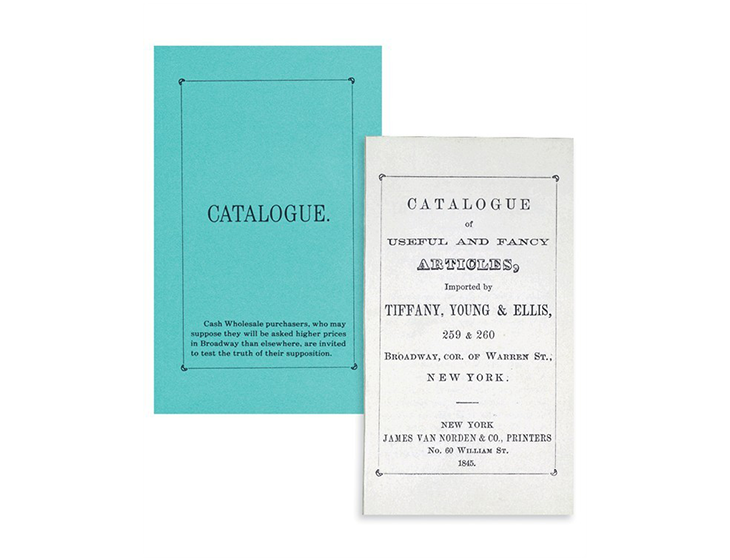 The story of the catalog becomes more and more fascinating, especially around the 1830s when mail order catalogs increased significantly in popularity. Both in North America and Canada. The very first mail order catalog that appeared in 1845 in North America is the “Blue Book” catalog. Few people know that Tiffany & Co. released this catalog. I bet you didn’t expect that either! This famous luxury jewelry and specialty retailer has existed for that long! Does 18th of August say something to you? Well, if you’re passionate about catalogs, you should celebrate this day from now on. It’s the National Mail Order Catalog Day! Wondering why? Because the first mail order catalog meant for the general public was produced on August 18, 1872 by the Montgomery Ward, a distinct American retail enterprise popular in that period. Normally, the wars tend to worsen the political, financial and economic conditions; but surprisingly, both World Wars had a positive impact on the use and distribution of catalogs. It even marked a rise in consumerism. And also a rise in the way the story of the catalog has developed. 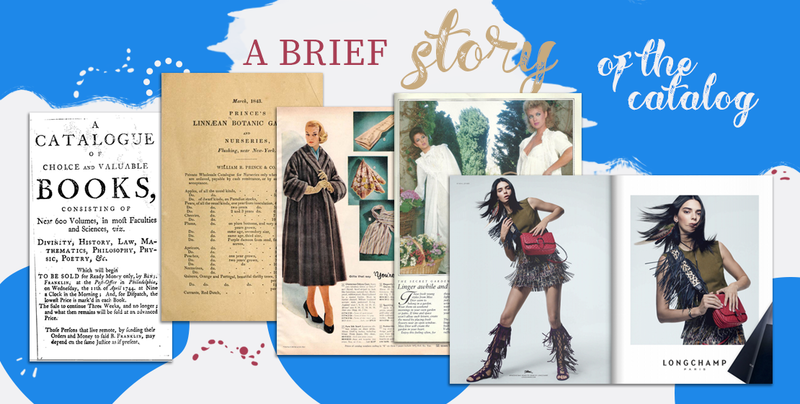 Fast forward to the 1980s, the catalog evolved into a crucial main tool of direct advertising. There were many companies that increased their business with the help of catalogs. In 1982, the spring/summer Victoria’s Secret catalog was a huge success. Apparently, 55% of their $7 million annual sales came from this catalog sales. Nicely done, right? We could say that the story of the catalog is still being written these days. Especially the story of the digital catalog that becomes more popular and requested by people. Nowadays, customers all over the world have this great opportunity to flip through an online catalog. With the high rise of technology at this time, it’s no wonder that the digital catalogs have this great success. But print is not dead and will never be, and some people still prefer the printed catalogs. There’s no need to expand on this fight between printed and digital catalogs now, ‘cause it’s a battle that will never end. Regardless of someone’s choice, the main point is that catalogs developed increasingly well since the 1800s till present days and are still doing a great job in the sales field. One great example of a modern digital catalog is this February’s catalog from Lazybones. Lazybones is a stylish Australian brand that decided to publish their catalogs online with our help. There’s a lot of historical information above, so we’ve decided to summarize everything with the help of an infographic. Hope you like it and consider it useful, too! Today’s article has been quite a ride, but it was an enjoyable and informational one. It really helped us all to gain a better understanding of the story of the catalog and the history behind it. We hope you like it as much as we do. Let us know what you think in the comments section below!